Our kindergarten and first grade phonics worksheets will provide your students with fun, worthwhile practice on their 1st grade spelling words. Worksheets offer your students a nice change from workbook pages. They're also perfect to send home with students so that parents can also be involved in their child's learning. Shown here is just a portion of each of our first grade phonics worksheets. Click on each link to get the printable, full-sized worksheet. Short a words - Match each word to the right picture. Practice writing the word. 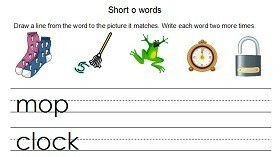 Short e words - Supply the first letter of common words. Practice writing the words. Short i words - Write the words for familiar objects. Short o words - Match the pictures to the correct word. Practice writing the words. Short u words - Supply the first letter of common words. Practice writing the words. Free Phonics Worksheets - These free phonics worksheets will grab your students' attention and help to make learning fun! We've sorted our worksheets by topic to make your preparation super-simple. Phonics Flash Cards - A free printable set for the entire alphabet. Kids can color their own cards. Be sure to check out our collection of Fun Spelling Worksheets for grades 1 and 2. You'll find lots of all-new pages, not on the website, to help boost your first grader's spelling and phonics skills! 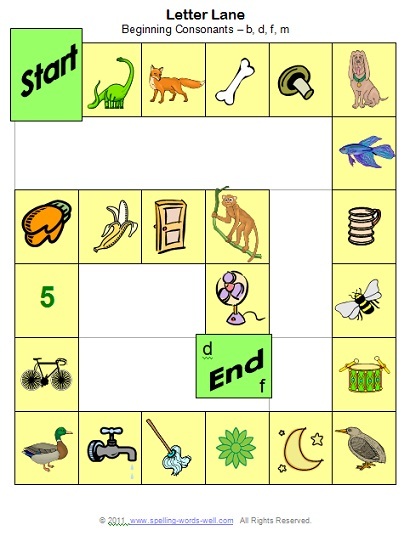 See our entire collection of Phonics Games & Activities. You're sure to find something just right for the skills your kids need to practice! Free Alphabet Games - Two easy games to play with a group of early learners! Sight Word Games - See our entire collection for one that's exactly right for your group! Homework worksheets - 2 pages that are especially simple to do at home. String the letters to complete sight words, or find the hidden color words and write them correctly inside the crayons. 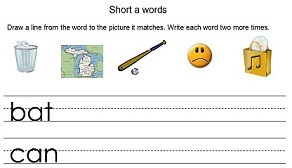 Word Scrambles - 2 worksheets with sets of familiar words to boost kids' vocabulary and spelling skills. Scrambled words provide a fun, puzzle-y format for a nice change!